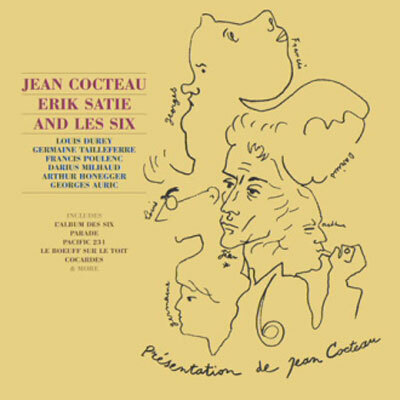 Recording Notes: Track (1) recorded by Jean Cocteau in 1953. Tracks (2) to (7) performed by Andrew West (piano) in 2000. Released under licence from Hyperion Records Ltd, London. Tracks (14) and (15) performed by Jean Cocteau with the Dan Parrish Jazz Orchestra in March 1929. The music track on The Goldren Fleece is Holidays (Dan Parrish) and on The Child Snatchers is Pourquoi J'ai Regrette (V Lowry). Tracks (16) to (20) are dubbed from original prints of the films, and we apologise for flaws in the sound quality.